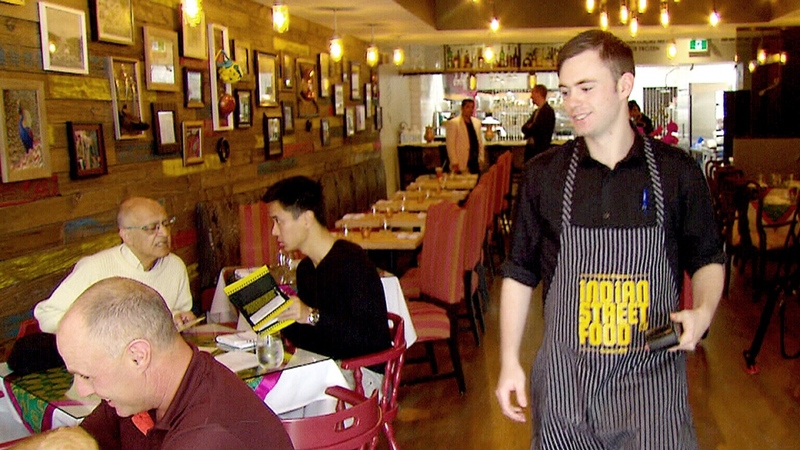 A new restaurant in Toronto's Leaside neighbourhood is asking its customers not to leave a tip when paying for their meals. Instead, the owner of the Indian Street Food Co. says he's paying serving staff a "fair wage," and adding a 12-per-cent "administrative" charge onto each bill. At the end of the night, the charge is pooled with 10 per cent of the restaurant's sales, and the total amount is divided up between all staff members, including those working in the kitchen. 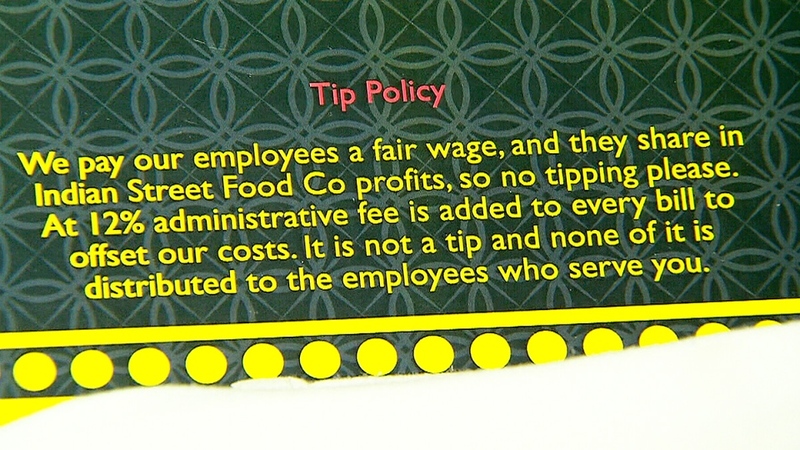 A note inside the menu reads: "We pay our employees a fair wage, and they share in Indian Street Food Co. profits, so no tipping please." "I want to make my staff my partners in this way," Indian Street Food Co. owner Hemant Bhagwani said. "I want them to feel some ownership of the restaurant." The service fee policy is part of Bhagwani's most recent restaurant venture. The Toronto restaurateur already owns a chain of Amaya and Amaya Express restaurants, but the chef said he's looking to branch out with his latest restaurant. "I'm a person who gets bored very easily," Bhagwani told CTV Toronto. "I need to keep doing something new." Aside from the unique approach to tipping, the restaurant owner says he's also aiming to offer something new when it comes to food. The colourful meals at Bhagwani's new restaurant were inspired by a recent trip to India, and the menu features the chef's takes on dishes such as almond-crusted aloo tikka and eggplant fries served with mustard yogurt. And if a customer doesn't believe their experience was worth the extra 12-per-cent fee, Bhagwani says they won't be forced to pay it. The restaurant owner says his unusual approach hasn't been popular with everybody. When he held interviews for serving positions, some applicants walked out when they heard about the plan to nix tipping. 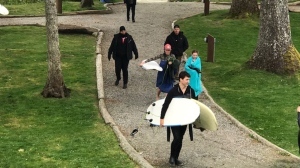 But other staff members were supportive of the idea. 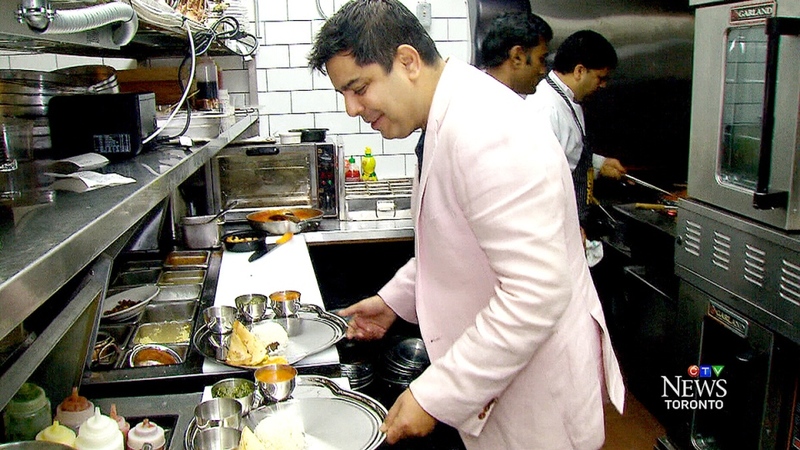 "Everybody realizes it's for everyone," server Yatin Bhatia said. "Everyone is treated fairly and stuff. Yes, it will make a difference." For now, Bhagwani says he's just trying out the policy. If it works for his staff, he says, he'll consider expanding it to his other restaurants around the city. A server at the Indian Street Food Co.
A note inside the menu at the Indian Street Food Co. explains the restaurant's tipping policy.